Based on results of a recent pilot project, UW Medicine nurse practitioner Musetta Fu thinks so. Fu recruited 49 older adults from three retirement communities in King County. For 12 weeks, the participants attended weekly 75-minute group-singing sessions, doing vocal and breathing exercises, learning and singing songs, and socializing. "Continuing learning can help stimulate or maintain older adults’ cognitive function," Fu said. Nurse practitioner Musetta Fu received a training grant from the UW's Institute for Translational Health Sciences that gave her a head-start on the singing program. After 12 weeks, she compared pre- and post-study assessments of participants’ cognitive function, pulmonary function, and quality of life. The results were positive, she said. 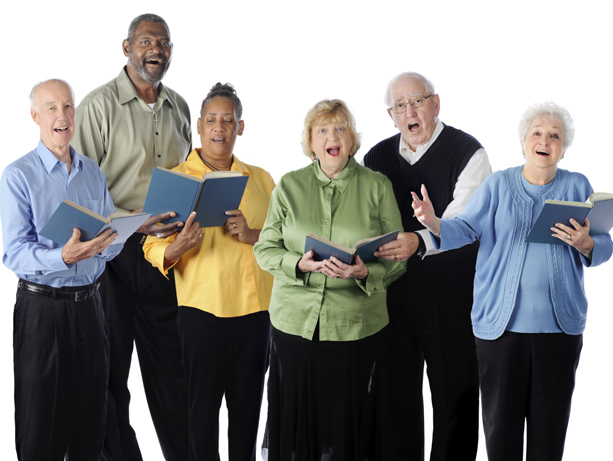 “We found pretty significant improvements in their short-term memory function, executive function, and respiratory muscle strength after engaging in the singing program." Participants reported they were satisfied or highly satisfied with the program, awarding it a 9 on a 10-point scale. There were a few barriers. “Some people complained about the song keys being too high or too low,” Fu said. The inspiration for this project came from a surprising source: Fu’s grandmother. At 93, she is mentally sharp and healthy. She also loves to sing. Fu wanted to know if there was a correlation between singing and her grandmother’s quality of life. Like her grandmother, Fu has always enjoyed music. She grew up in a musical family and learned to sing and play the piano and guitar at a young age. As an undergrad, she studied music performance and music education. After teaching music education in Taiwan for several years, Fu enrolled in a music therapy graduate program. During an internship at a Cleveland hospital, she discovered she enjoyed working in healthcare. In 2011, she enrolled in the doctoral program at the UW School of Nursing. Two years later, Fu was selected for a three-month summer program at UW's Institute of Translational Health Sciences, during which she conducted focus groups of older adults and retirement-community directors. That led to the group-singing program. Fu plans to publish results from her project in the coming months. Her goal is to provide scientific evidence to promote inexpensive and accessible interventions, like singing, to maintain older adults’ health.